The interesting thing is that I run Blender 2.44 EXACTLY the same way, and it works fine. It runs version 2.41 which is already installed and gives following error. apparently these builds are not totally dependencies-free: libraries seem to be dynamic rather than static. Please read the rest of the line too: " Tag Image File Format (TIFF) library – C++ interface"
You should apt-get install libtiff4. 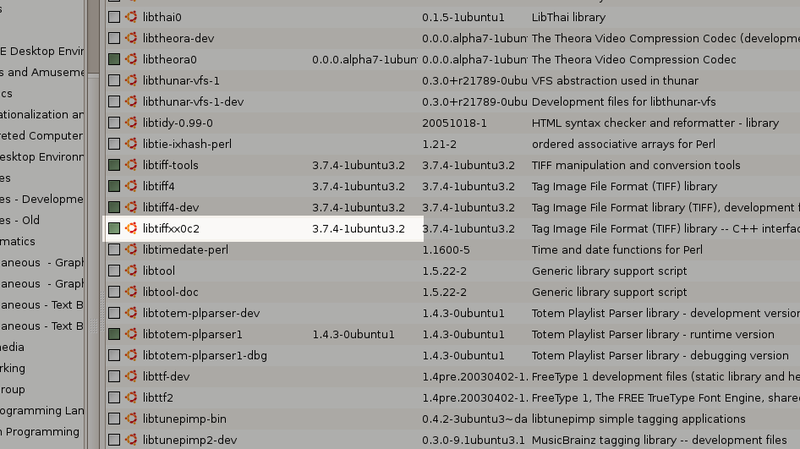 For a missing libopenal do an apt-cache search libopenal then install the “portable library for 3D spatialized audio” which on debian is libopenal0a. O.K. downloaded the libopenal0a package, ran it again, and it then requested the labalut0 package, which I downloaded as well. Thank God for Synaptic Package Manager. It works now.